So what have I been up to for the rest of December? Mostly drawing dogs, like this guy here, who is called Magic. 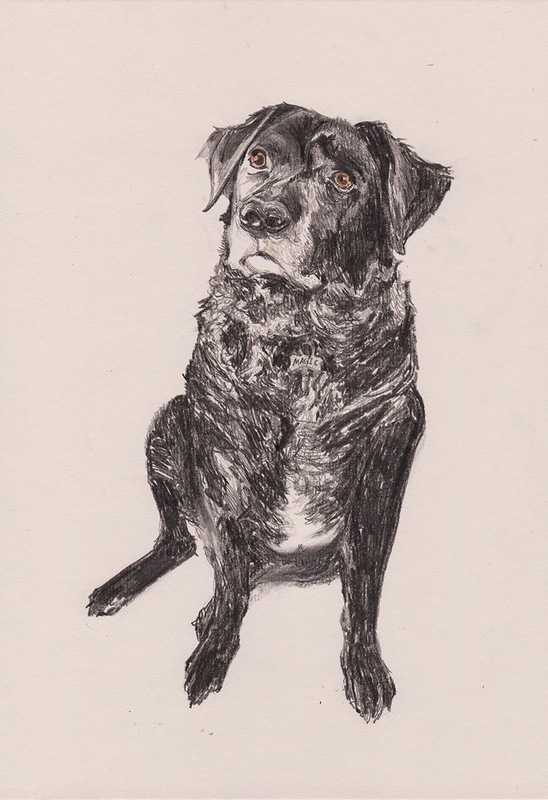 Commissioned by the owner's niece, I really enjoyed capturing his ruffly neck and loyal face, with my pencil dancing happily around the page for the duration of the process. Despite not being a pet portrait aficionado, being approached to knock out a few in the run up to Chrismukkah has been a lovely way to connect with people and make them something they consider to be special (aww). Gush, happy holidays everyone, have a magic time.